The Bozeman Public Library will host the eleventh year of Book One Bozeman in February. This is an annual event that promotes literacy and community engagement through the shared experience of reading. 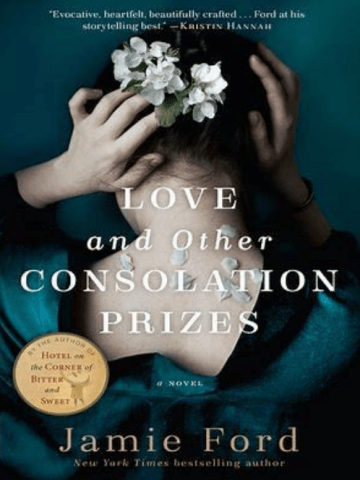 The 2019 book selection is Love and Other Consolation Prizes by New York Times bestselling author Jamie Ford. Each year a book title is selected and a month-long program of events is created to explore the themes of the book including author talks, discussion panels, and expert presentations. Themes from the 2019 book selection include: human trafficking, world’s fairs, red-light districts, and a love story. Eleven unique events are planned throughout the month. Jamie Ford’s debut novel, Hotel on the Corner of Bitter and Sweet, spent two years on the New York Times bestseller list and went on to win the 2010 Asian/Pacific American Award for Literature. Love and Other Consolation Prizes is his third book. A local Montanan, Mr. Ford will participate in three author events on February 26th and 27th at the Bozeman Public Library and Country Bookshelf. One Book One Bozeman is organized by the Bozeman Public Library, Country Bookshelf and MSU Library with funding provided by the Bozeman Public Library Foundation and Friends of the Bozeman Public Library.